Our Mission: Growing community health & wellness through quality personalized health services. SCBHS chosen iVantage Top 100 Critical Access Hospital – 2017! 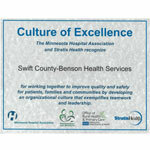 The Minnesota Hospital Association and Stratis Health recognize Swift County-Benson Health Services for working together to improve quality and safety for patients, families and communities by developing an organizational culture that exemplifies teamwork and leadership. 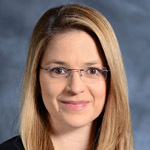 We are pleased to welcome Joanne Monterroso , MD, adding IV Therapy & Chemotherapy to Swift County-Benson Health Services as a visiting specialist. 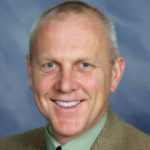 We are pleased to welcome Thomas Lange , MD, a General Surgeon to Swift County-Benson Health Services as a visiting specialist. Why choose Swift County – Benson Health Services? Our professional performance, compassion and attention to detail are outstanding. We are dedicated to providing you and your family with the best care possible right in your community. We believe that by committing to work together with our community, we can achieve significant steps toward improved health. We understand local community and the healthcare needs of those who live here. We strive to ensure our patients all receive quality care by continuously working to improve the way we do things.